We might be about to go Into the Bat-Verse. Tom Hanks has recorded his last lines for Toy Story 4. Doctor Sleep and The Witches have been given release dates. Get a new look at Amazon’s take on Hanna. Plus, The Flash dredges up some turmoil for Sherloque, new Star Trek: Discovery pictures, and another clip from Alita: Battle Angel. Spoilers now! 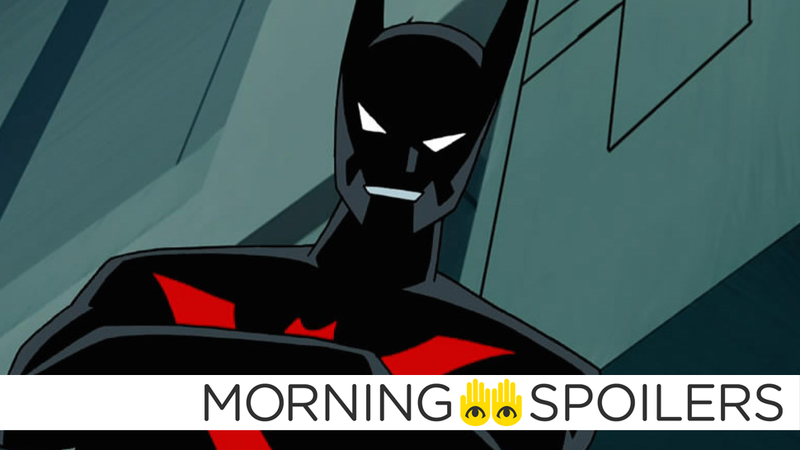 Allegedly in light of Spider-Man: Into the Spider-Verse’s recent success, GeeksWorldWide reports Warner Bros. is now developing an animated Batman Beyond film for theatrical release in 2022. Though no voice talent is currently attached, Will Friedle stated he’s eager to revisit the role of Terry McGinnis on Twitter. Screen Gems is now developing a film based on the first televised exorcism on NBC in 1971. Richard D’Ovidio (The Call) is slated to write the script, based on the book, True Haunting, by Edwin F. Becker. Production has officially begun on The Boy 2, according to Coming Soon. Tom Hanks shared a behind-the-scenes photo of himself on his last day recording as Woody. Coming Soon has character posters for Nickelodeon’s Wonder Park. Click through for more. Alita figures out she’s a Battle Angel in the latest clip. According to TV Line, Kimberly Williams-Paisley has been cast as “multiple versions” of Sherloque Wells’ ex-wife, Renee Adler. You see what they did there with the name. Scandal’s Darby Stanchfield has joined the cast of the IDW comic adaptation as Nina Locke, according to Deadline. Producer and Channel Zero creator Nick Antosca confirmed Chucky can, and mostly likely will, drop F-bombs on Syfy’s upcoming Child’s Play TV series. TV Line reports the latest incarnation of The Twilight Zone will premiere on CBS All Access this April Fool’s Day. Here’s all we know on the project so far. Screen Rant has images from today’s new episode of Star Trek: Discovery, “Point of Light.” More at the link. Finally, Fox has released a Superbowl spot for the upcoming Hanna TV series.